The Tuli Block, with the Limpopo River flowing through it and including Tuli Game Reserve, is very different to anywhere else in Botswana. It is in the east of the country, and game drives, horse rides, cycle safaris and walks, and photography courses are all exciting options here. It is mostly accessed via South Africa with which it shares a border. The hilly terrain with rocky outcrops are a contrast to the rest of Botswana’s mostly flat landscape. Great game viewing in Mashatu Game Reserve. Very varied activities such as bike safaris, horse riding, photography courses, star gazing. Excellent wildlife hides at Mashatu. Tuli is rain-free about 92% of the time. The majority of that small amount of rain comes in November and December. So really, any time is a good time here. 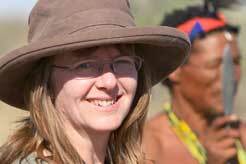 A Tuli Block Safari: How to do it. 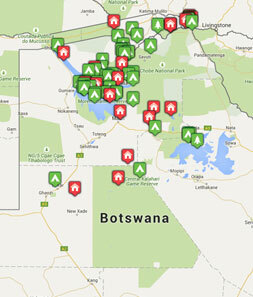 Most visitors to Tuli access it from South Africa. You can either fly in or drive across the border north of Johannesburg. 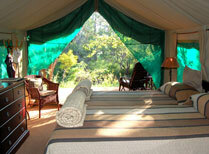 It combines particularly well with Mala Mala in Kruger, a trip which you’ll find here. We work with Mashatu Main Camp and Mashatu Tented Camp both of which offer great accommodation, services and activities. 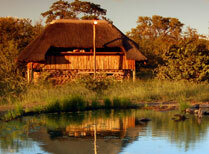 Mashatu Main Camp comprises luxury suites set around a waterhole. Facilities include a swimming pool and a boma for outdoor dining. This 8 tent camp is in a remote part of the Mashatu Game Reserve and is a great base from which to explore the wildlife of the region. Overnight flights to Johannesburg then connections to Maun, total flying time about 13 hours. There are no compulsory vaccinations, except yellow fever if you are coming from an infected area. Malaria prophylactics are recommended in the north.